Joan Hansen, Jack Shallberg and Robert Harford previewing the plants before the sale begins. The $8 specials are very popular. Here a 2 varieties of Fuschia and the fragrant Heliotrope. 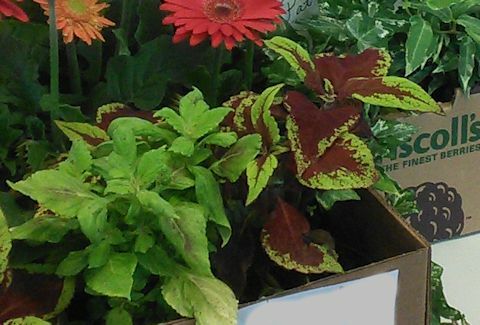 For $4 each or 3 for $11, the Geraniums, Ivy, Sweet Potato, Coleus, Petunias, Daisies, Begonias and Spikes are an incredible value. The petunias are among the favorites. The spikes add height and architectural interest to both blooming and non-blooming arrangements. 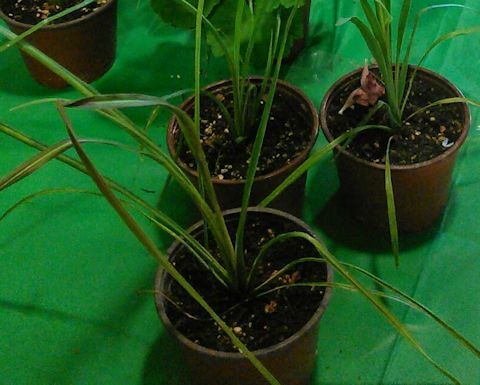 The Combo units are 3 plants in one basket with some amazing color combinations. These are very popular. At an amazing value of only $22, these sold very quickly. 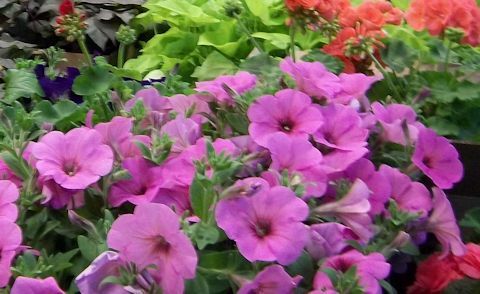 The hanging baskets come in a variety of color choices and plant varieties. 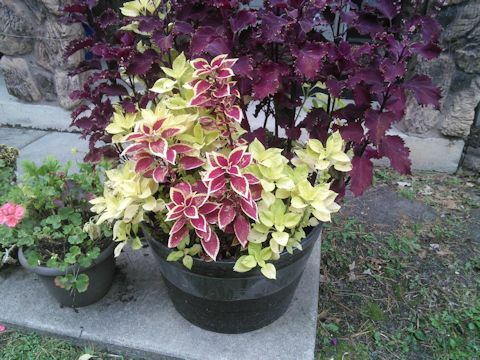 Variegated and non-variegated coleus can grow big and strong. Mass plantings of highly variegated Coleus have a mesmerizing and almost psychedelic effect. 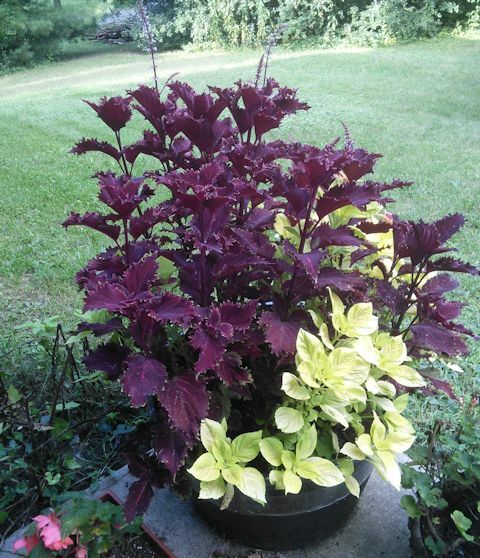 Coleus from the plant sale in May, can be big and strong by September.